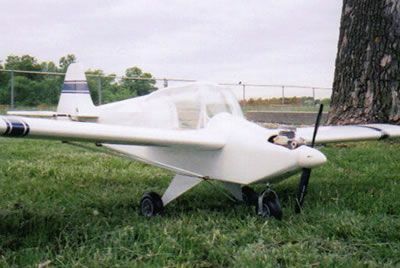 This is a very nice rendition of the homebuilt classic "Stits Flut-R-Bug". Bud Atkinson designed this model and won the Scale Nats in 1966 with it. The wingspan is 63 1/2" which makes this model approximately 1/5 scale. Engine size is .45.